DARIEN — A man and two juveniles from New York were arrested after allegedly stealing mail from the post office on Corbin Drive. On Oct. 26 at 1:02 a.m., an officer patrolling Corbin Drive observed a male juvenile dressed in dark clothing. As the officer drove past the individual, he noticed the juvenile appeared to see the marked patrol car and immediately turn to walk in the opposite direction. When the officer exited his vehicle to speak with him, he saw the juvenile appeared very nervous to answer basic questions. According to police, the juvenile glanced around as if looking for someone as they spoke and later said he was meeting someone in the area. Additional officers then arrived at the location, one of which observed a second male juvenile exiting the wooded area in the rear of the Post Office. When confronted, the second juvenile denied knowing the first. While questioning why he was on government property after hours, an officer noticed an envelope protruding from the second juvenile’s jacket pocket. The second juvenie admitted the mail did not belong to him, police said, and instead belonged to a business in the area. There was postage on the envelope, but no postage mark indiciating it had been processed. Both juveniles told police they were from New York and were detained. Officers then checked mailboxes on the post office property and found numerous pieces of ripped mail on the ground. An inspection of the mailboxes revealed a shoe string hanging out from one of the mailbox openings. According to police, the shoe string was part of a device commonly used in mail theft, consisting of a beverage bottle covered in a sticky substance hung from a shoelace. When the protruding shoelace was pulled from the mouth of the mailbox, the bottle came up with several pieces of mail stuck to it. While speaking with the juveniles, officers noticed a dark sedan bearing New York plates driving by their location at a slow rate of speed. Officers pulled the vehicle over and identified the driver as Renado Moss, who allegedly told officers he was meeting someone in the area. In plain view was a yellow plastic bag full of opened mail, police said. Police found 31 pieces of opened mail while searching the vehicle, none of which were addressed to Moss. According to police, six shoe laces and a debit card with another person’s name on it was also found. Moss, a 29-year-old New York resident, admitted to driving the two juveniles to Darien and that the two juveniles brought the mail to his vehicle after removing it from the mailbox, police said. 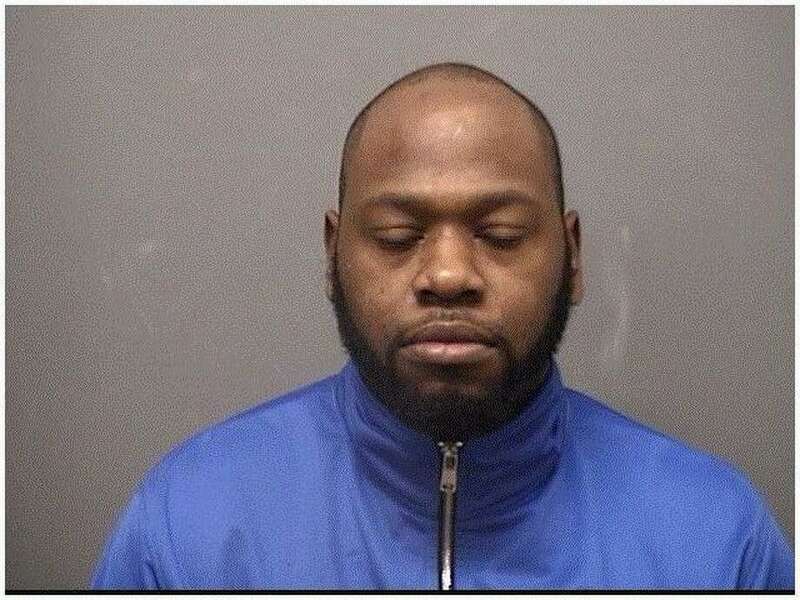 Moss was arrested and charged with sixth-degree larceny, risk of injury to a minor, possession of burglary tools, sixth-degree criminal conspiracy to larceny and second degree criminal trespass. He was held in lieu of $5,000 bond, which he was unable to post. He was transported to state Superior Court in Stamford later that morning. Prior to being transported, both juveniles were searched. On the first juvenile’s person was a debit card to a TD Bank account that was in a third party’s name, police said. On the second juvenile’s person were several pieces of unsent mail. An altered check, bearing the name of a Darien resident, was also located in his jacket pocket. The juveniles were issued misdemeanor juvenile summonses for possession of burglary tools, sixth-degree criminal conspiracy to larceny, and second-degree criminal trespass. They were released to family members and are due in Stamford Juvenile Court on Nov. 6. At 8:16 p.m. on Oct. 26, a resident on Tokeneke Road told police he had been contacted by his bank in regards to the cashing of possibly fraudulent checks. On Oct. 23, he had placed a total of six checks in outgoing mail at the mailbox located at the post office. Upon being notified by his bank, he discovered one of his checks was altered and made out to an unknown third party in the amount of $800. A second check was altered and made out to a second unknown party for $2,343. The name of the check made out for $800 was the same name police allegedly found on the debit card Moss had in his possession. According to police, the U.S. Postal Inspector’s office was notified and is assisting with the investigation.